The 2015 race was considerably slower than last year – the tough conditions lead to an adjustment of -11:30, more than seven minutes slower than last year. While the swim was about as slow as last year, the bike was a bit faster. Having followed the race I think that athletes were going a bit harder than normal, rather than the conditions being more favorable. The main difference to the last years was on the run: An adjustment of -5:36 shows that times were around six minutes slower. This is reflected in the fastest run times of 2:49:52 by David McNamee and 3:06:25 by Liz Blatchford. The harder run also lead to a large number of DNFs: While last year’s DNF rates were 20% (2013) and 23% (2014), this year there were 32% of Pro athletes that did not finish (30 out of 94 Pro starters). 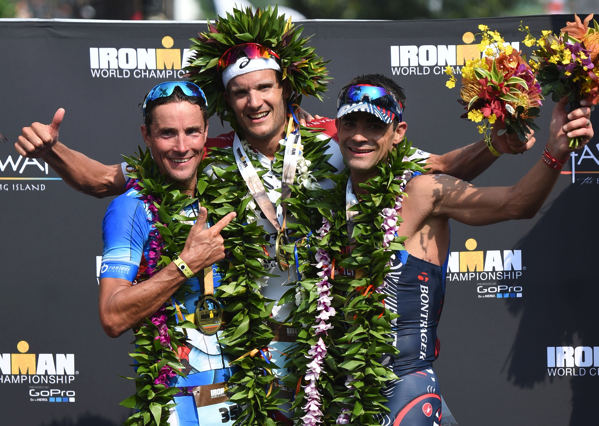 Jan Frodeno was the clear favorite, and he was close to the front for the whole day. There was a brief period when Tim O’Donnell was trying to get away on the bike, but he closed the gap with Sebastian Kienle into T2 and quickly pulled away on the run. His lead was never big enough to be comfortable, but in the end Frodo won by just over three minutes. Second place went to Andreas Raelert who had the best run of the top finishers – good to see him back on the podium after struggling for the last two years! “TO” earned third place and top US finisher after being active for most of the bike and then digging deep on the run. Defending Champion Sebastian Kienle had a good swim and a good bike ride, but never managed to build a gap and then struggled a bit on the run, eventually dropping back to 8th place. Daniela Ryf was the clear favorite after her amazing last two years of long distance racing. Similar to last year she took control of the bike after half the distance and built a gap to the rest of the field. Others tried to limit the distance to her but then struggled on the run. Daniela, however, was strong enough to post the third fastest marathon (by 12 seconds) and the only sub-9 finish of the day, winning by 13 minutes. Rachel Joyce had the best run of the women trying to limit the gap to Daniela on the bike – a satisfying end to a season where she struggled with a run injury for a while. Liz Blatchford had the best run of the day and ran herself onto the podium. 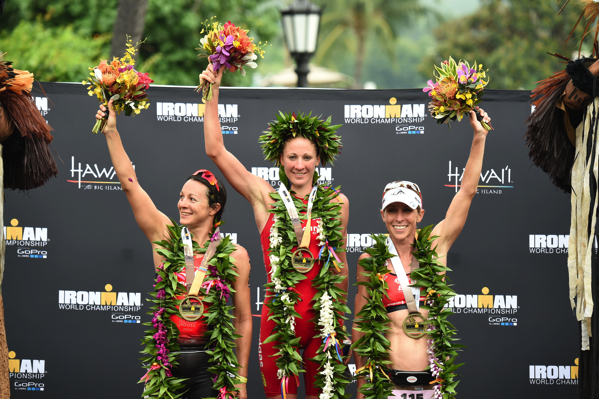 Defending Champion Mirinda Carfrae struggled with back issues, after she lost some time on the swim and some more in the first half of the bike, she ended her title defense at the turnaround in Hawi. She made it back to Kona in time to cheer for husband TO on the run.